Star Trek books editor Margaret Clark was recently interviewed by Visionary Trek's The Captains’ Table podcast. She spoke about all aspects of her Star Trek work, from comics and reference books through to her current role shaping the novel and ebook line. That includes a few teases of things to come, such as revealing she already has ten of 2015's books sorted, and four of 2016's! That sets her up to focus on the rest of 2016, where she has already submitted ideas for book projects to celebrate the fiftieth anniversary of Star Trek. Admiral Riker will be guest starring in John Jackon Miller's Aventine/TNG novel next year. Paula Block and Terry Erdmann's Quark ebook, Lust's Latinum Lost (and Found), has gone down so well behind the scenes that the writing partners are already down to do another Quark novella, this time with even more Ferengi involved. Clark confirmed Peter David is in talks to write a new New Frontier novel. Kirsten Beyer's third Voyager novel in the current trilogy, Atonement, will most likely end up coming in either September or July in 2015. A big part of what this story is about is how does their [Data and Lal's] relationship develop. In that single episode of Next Generation, Lal was around for all of, maybe a day or two, before she went into cascade failure. And this is about what their relationship is like; what Data finds about being a parent; what it's like to have a child. Especially a child who isn't exactly typical; Lal isn't an infant, she's not an adolescent, she's not an adult, she's kind of all that at the same time. It's also a caper, because I've always wanted to do something like a crime.. not crime exactly, the seedy underbelly of the Federation, the Alpha Quadrant, what's going on there. It's a bit of a buddy story, because it gets Geordi La Forge, and Data off together doing adventurous things. I love them together, I think Geordi and Data are great together. I think it's the next chapter in their development, because in all of the previous incarnations, Geordi's always the older brother, he's always the one who's sort of guiding Data and telling him.. and in this story Data I think finally kind of moves past him in some point. 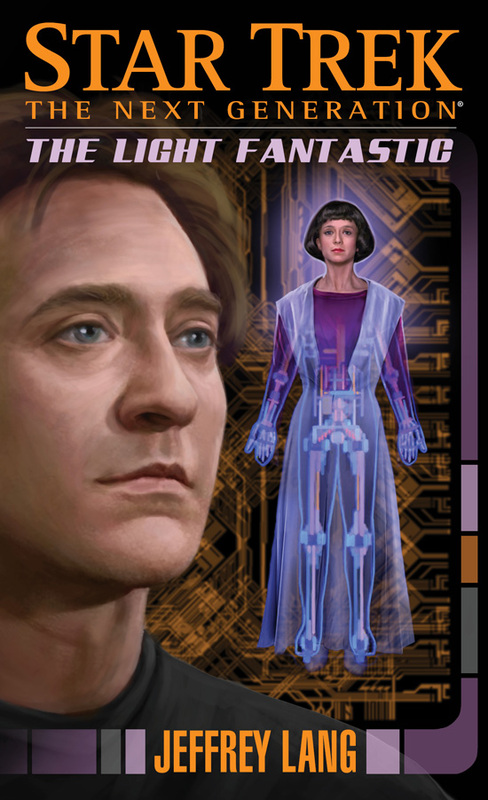 Chekov actually gets to shine a bit. 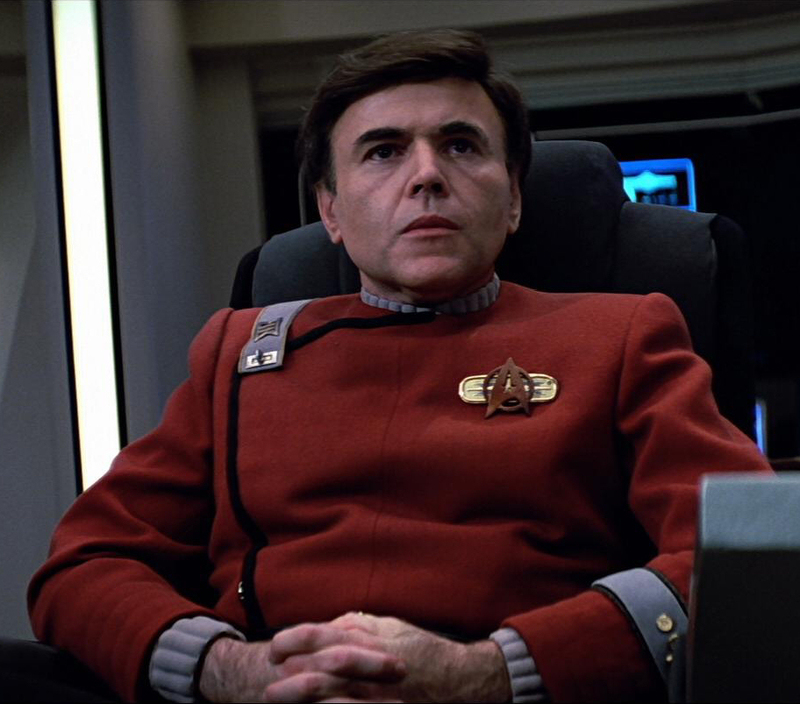 He is the security chief upon the Enterprise-A, and bad things, Foul Deeds indeed, happen aboard the Enterprise-A, and Chekov ends up having to do quite a lot of the work. Especially since I in fact conveniently arranged to get Spock get off the ship for most of the book, and I did this quite deliberately, and gave Spock his own B-plot, not just because Spock is cool and deserves his own B-plot, but honestly the idea was to get Spock of the ship so Chekov could have a chance to shine and Kirk can't just turn to Spock when he needs a problem solved. You can hear lots more from the authors and editors discussing much more of their Star Trek work and more, by listening to the full podcasts from Visionary Treks linked above. And for more details of current and forthcoming Star Trek books, hit one of the books buttons at the top of my schedule page, to find listing of the year's releases, and links to my previous coverage.